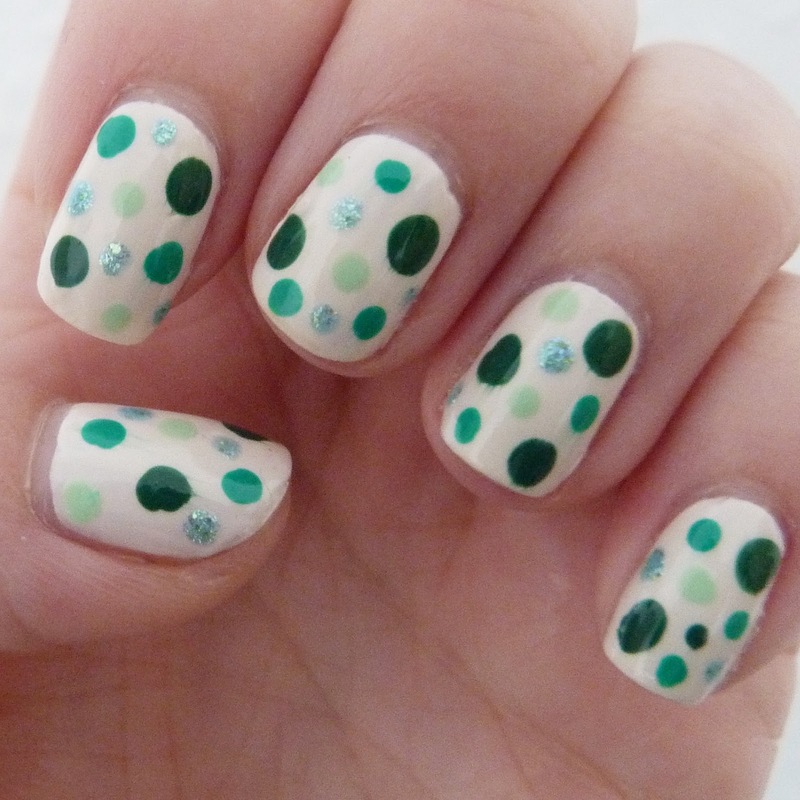 As I have quite a few green polishes I wanted to something that would allow me to use all of them so I decided on spots as unbelievably, I haven't done them for a while. I used five polishes in total: four from Barry M and one from OPI. I wanted a plain base that would easily show all the different tones of green but my white polish doesn't seem to go well with acetone and makes my clean up brush all funny so I opted for Coconut from Barry M. This polish is definitely becoming a favourite! 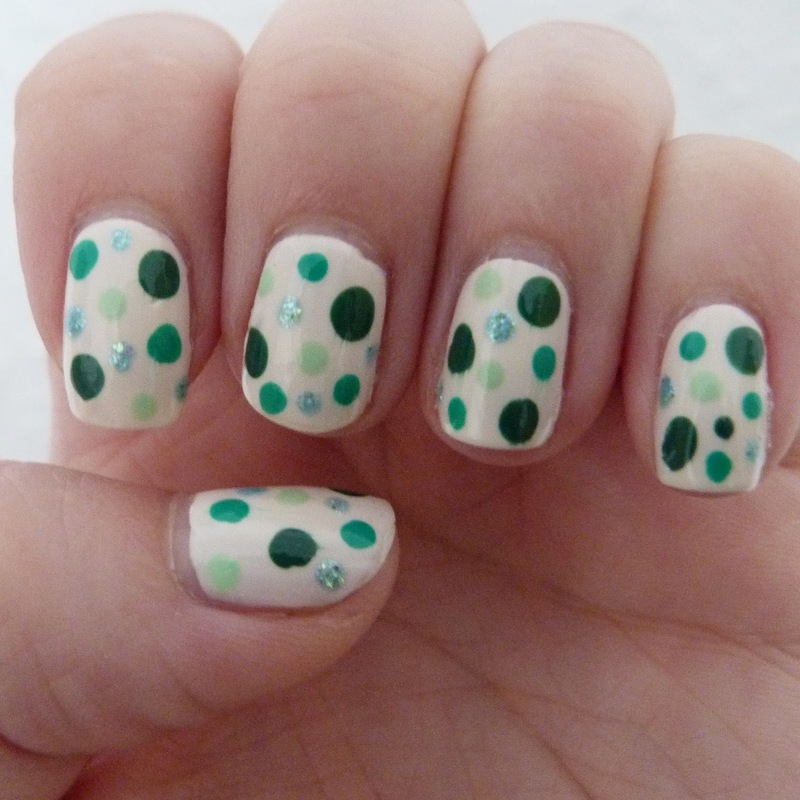 For the spots I used different sized dotting tools and Kiwi, Pole Position and Catwalk Queen from Barry M and Jade is the New Black from OPI. I definitely need to practice my equal spacing for spots, never understand how others get it so perfect?! Anyway, I like the combination of different greens and the little sparkle from Catwalk Queen. Pretty happy with day number four!